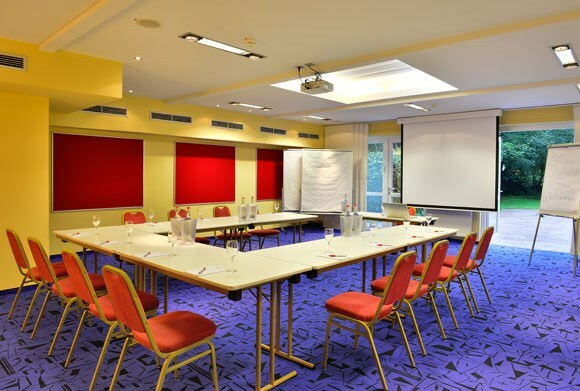 Nine comfortable, light-filled conference rooms offer you everything you need to host a successful event for up to 250 people. 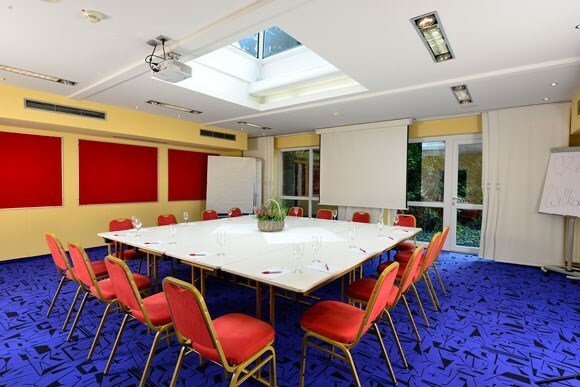 In addition, we provide all the services and assistance you would expect from a modern, spacious, and friendly conference hotel. Our picturesque location on the banks of the Aller River gives us our special ambience, and we make great efforts to protect the precious natural resources that surround us. 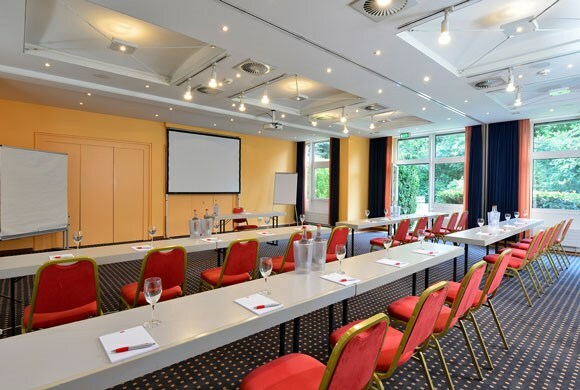 This has earned us a Gold 'Environment Check' certification from the German Hotel and Restaurant Association, making us the best choice in the area to host climate-neutral events and conferences. Contact us to learn more about hosting an eco-friendly conference or event. Space with daylight for trainings and Workshops with direct exit to the terrace, with an upper light and the most modern technology. Suitability for small meetings or as a break out space at meetings. This space disposes of an individually regulable air-conditioning, also with daylight and direct exit to the terrace. Suitability for small meetings or as a break out space at meetings. *ISDN lines available (Euro ISDN - DSS 1In all areas of the house it is possible to wirelessly connect to the internet! These audio-visual equipment, we provide you with availability and prior registration is free of charge. 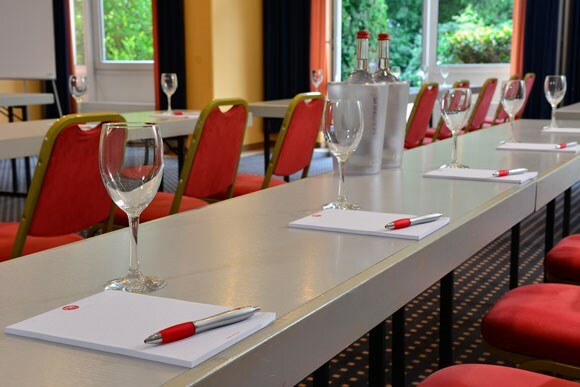 All prices for conference groups can be booked from 12 paying people. 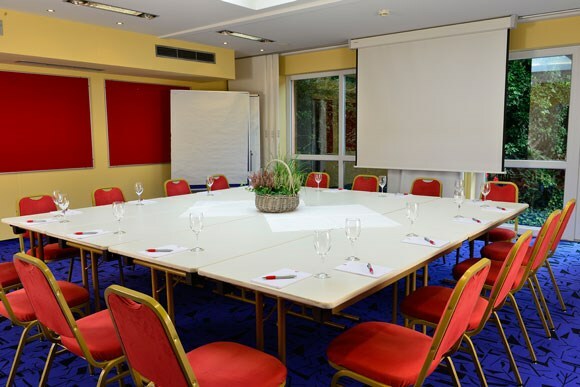 Please note that there is a minimum number of persons choosing a daily delegate rate for our meeting rooms. 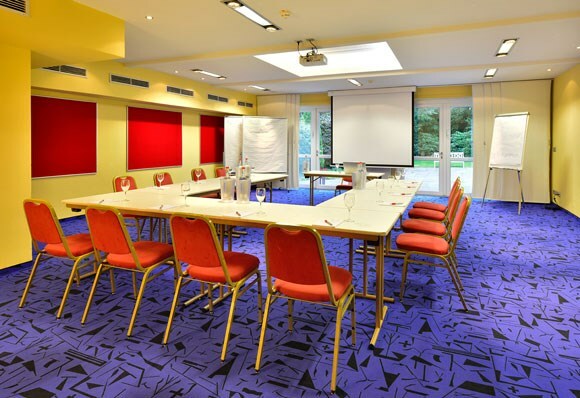 When below this, we allow ourselves to charge you extra provisioning costs for the main meeting room.